In uncommon fashion for the Pacific Northwest, there wasn't a cloud in the sky for the "Jib This!" 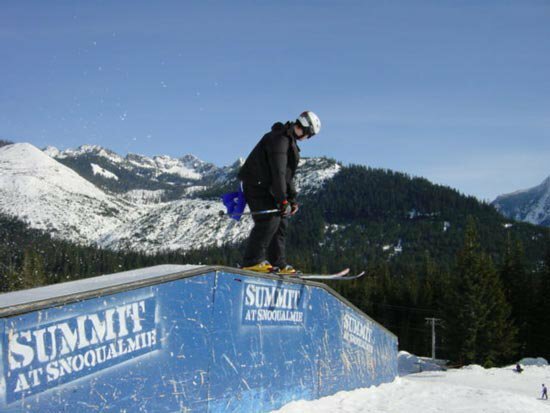 rail comp at The Summit at Snoqualmie this past Sunday, Feb. 22. 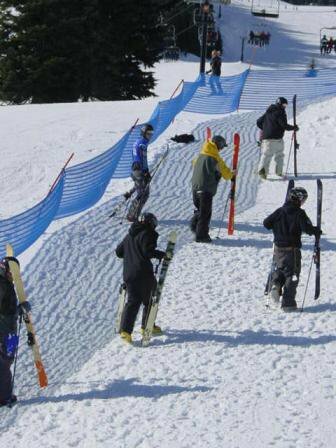 This competition followed the Snowrider Superpipe competition that The Summit hosted last weekend. Despite a competing slopestyle competition at a neighboring resort, the rail jam went off amazingly well, with an even better turnout than last weekend. 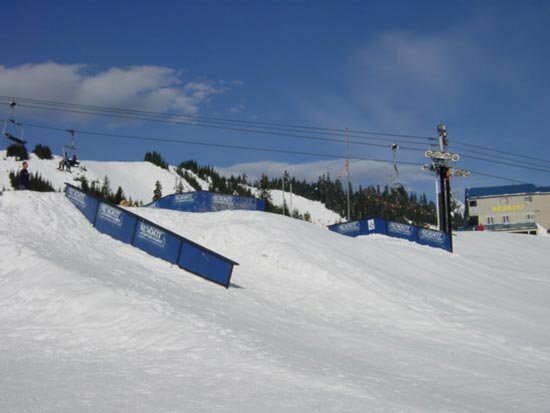 The Summit crew built a course consisting of three rails: a handrail-style descending rail, an up-flat-down box, and a flat-down kinked rail. A judge was located at each rail, scoring the ridersÃ‚â€™ best trick on their rail. The score from each of the three rails would then be combined, and the top five skiers would advance to the finals. In the first rounds competitors went off on all the different jibs. On the kink competitors attempted 450s, switch 270s, one-footed disasters, switch-ups, and more. The box saw more variety: huge switch disasters, gapping the top flat with switch-ups, regular and switch 270s on, and many more. The descending rail saw a little less diversity, but competitors were still pushing themselves with one-footed attempts, nose presses, and 270s out. After the one-hour qualifying jam, five riders advanced to the finals: Zach Davison, Shaun Mauer, Nills Pederson, Bryant Jansen and Jesse Halstead. The format for the finals was a 15-minute jam at each of the three jibs. Then the top scores from each rail would be combined again to determine the winner. The first rail of the finals was the descending rail. Most of the riders stepped it up, grinding the rail switch, and Zach Davison even managed to grind the entire rail one-footed. At the single kink, almost all of the riders stepped it up, trying something new. Bryant Jansen stomped some solid switch 270s on, though his 450 attempts didn't go quite as well. Davison stepped it up as well, riding out of a couple blindside switch-ups. Going into the final jib on the up-flat-down box it was clear it was going to be a close competition Davison and Jansen. The box was beaten into more submission as Zach stuck a blindside switch-up, and in reply Jansen pulled out the 450 disaster. But ultimately it was Zach's 720 and 900-degree slides over the box that sealed the deal. 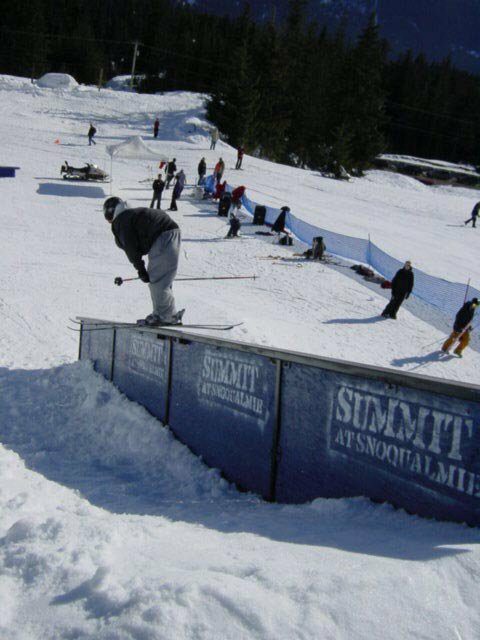 A special thanks to the Summit at Snoqualmie for help in covering this event.